She is practically unstoppable, but with a little Kryptonite, anyone can render the blonde beauty helpless. Supergirl is the name of several fictional characters appearing in comic books published by DC Comics, depicted as female counterparts to DC Comics iconic superhero Superman. The first incarnation of the character Super-Girl appears in a story published in Superman #123 (August 1958). This prototype character led to the creation of the official Supergirl, Kara Zor-El-created by Otto Binder and Al Plastino as the biological cousin of Superman -who debuted in Action Comics #252 (May 1959) entitled "The Supergirl from Krypton." 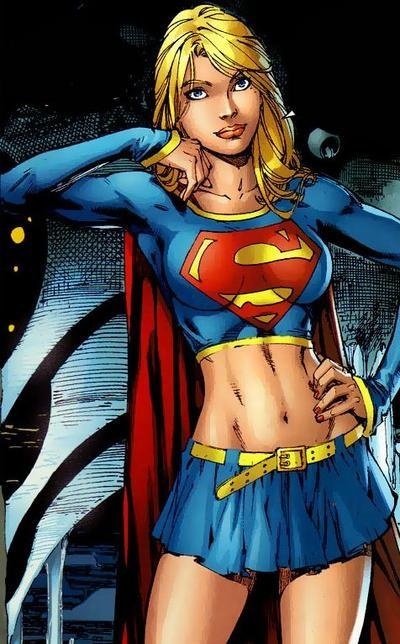 As Supergirl, the Kara Zor-El character plays a supporting role in various DC Comics publications, including Action Comics, Superman, and several other comic book series unrelated to Superman. In 1969 Supergirl became lead feature in Adventure Comics and later starred in an eponymous comic book series which debuted in 1972 and ran until 1974, followed by a second monthly comic book series entitled The Daring New Adventures of Supergirl, which ran from 1982 to 1984. World War III Book 2 "The Valiant"
Superman TAS - S03E03 - Little Girl Lost Pt1. Transformerman 3D Art - Supergirl unconscious and in peril.